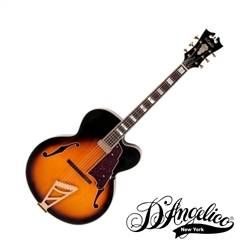 The EXL-1 has been revived with all the quality expected from D’Angelico. This single-cutaway archtop features a signature D’Angelico stairstep tailpiece along with a floating pickup and hard maple neck. The EXL-1 is a pure classic reborn into the 21st century.